I've been CASEing card this week! It's an easy way to complete a stack of cards to have on hand. No time is spent figuring out what to make, just Copy And Share Everything! My card base color is Island Indigo, even though I think the photo shows more of a blue color than II is in person. The stitches are "faux" unlike the real stitches on page 133 of the Annual Catalog. I've wanted the Wetlands stamp set for a long time, and I finally ordered it last year, however this is the first time I've inked it up! I know how versatile this set is and I do believe it will be one of the ones I keep even when it retires! Thank you for looking today. I hope I inspired you to get out your stamps, ink them up and make a card! Let me know what you think in the comments! I love to read them all. 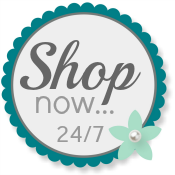 Please use my Online Store to purchase your own Stampin' Up! supplies.